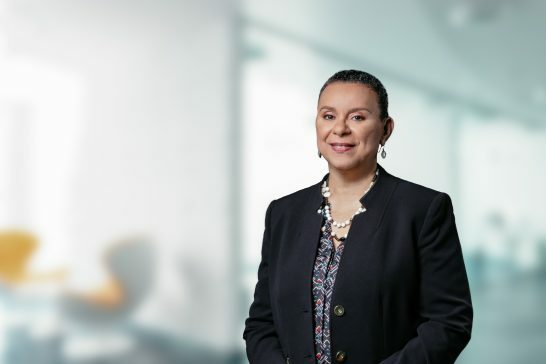 ...is acclaimed for her work on behalf of high net worth clients and is equally adept representing trustees and beneficiaries and is known as one of the most experienced figures in this field. 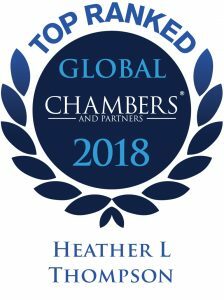 Heather Thompson is a recognised leader in the private client sector, advising individuals, trustees and beneficiaries in international trust and company creation and ownership structures. She counsels individuals on estate planning matters and advises a diverse clientele on all aspects of wills, probate applications, estates administration, foundations, private trust companies, and issues in company law. A sought after conference speaker and contributor to the STEP Journal, Heather has received the STEP Founder’s Award for Outstanding Achievement (2009); the Bahamas Financial Services Board ‘Executive of the Year’ Award (2003); and the International Law Office Client Choice Award in Offshore Services (2012). 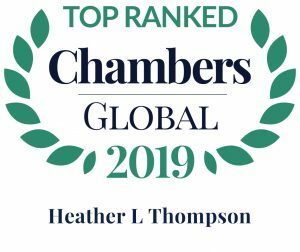 She is ranked by Chambers Global in General Business Law (2010 – 2019) and Chambers High Net Worth Guide (2017-2018) and recognized in Who’s Who Legal Private Client (2018). Heather has been named to Citywealth Leaders List (2012 – 2013); Guide to the World’s Leading Women in Business Law (2012); and the IFC Power Women Top 100 list (2013). Heather is a founding member and past chairperson of the STEP in The Bahamas and a former member of STEP’s Council. 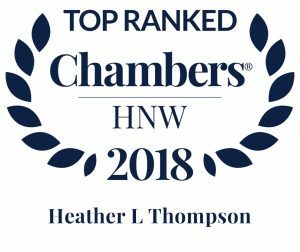 Heather has served as a consultant on several important pieces of financial services legislation, including Acts relating to trusts, purpose trusts, foundations, private trust companies and executive entities. Heather was educated in the United Kingdom at the University of Lancaster (B.A.) (Hons) and University of London (LL.B.) (Hons), and qualified as a member of the Law Society of England and Wales (non-practising). She attained the Chartered Institute of Bankers Trustee Diploma in 1981 following a year-long secondment to National Westminster Bank’s Trustee Department, West End Branch, London, and was called to The Bahamas Bar in 1994. Serves as a member of a Protector Committee directing scholarship grants to needy students of a high school in Nassau, Bahamas. Tutor, Bahamas AIDS Foundation After-school Programme. …wealth of experience advising private clients and companies on trust formation, estate planning and commercial contracts.